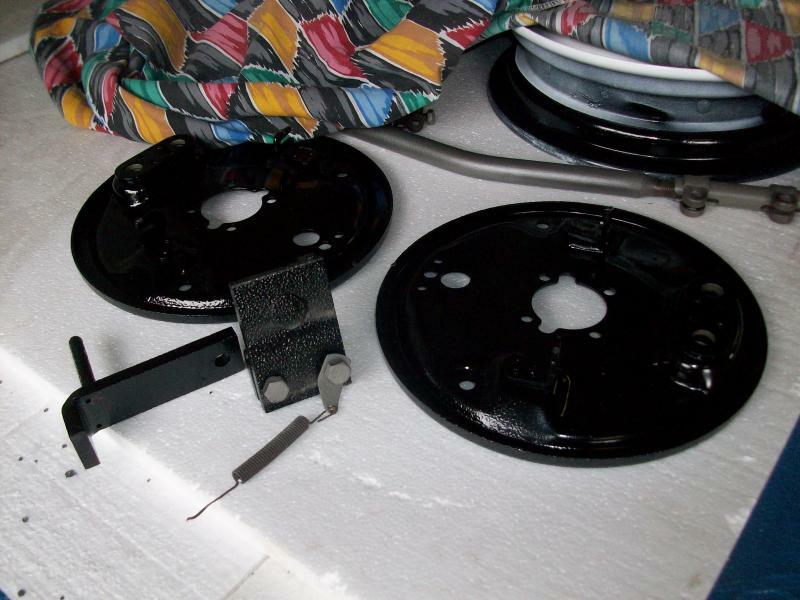 The square u-bolts are available from various Crosley suppliers. 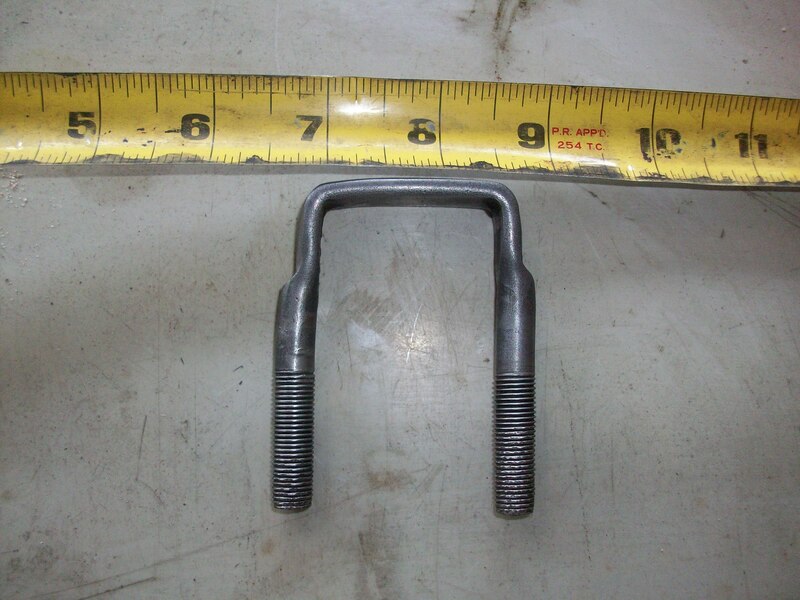 The size is 1 1/2" between bolt and 2 3/4" bolt length, 3/8" diameter. 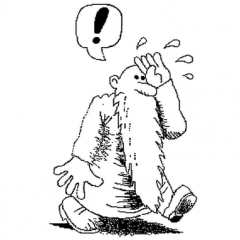 YES, YES, YES, YES, YES, YES, YES and YES!!!!!!!!!! That is a 100% perfect match!!!! Having a wheelie shocking time on the FOR today. 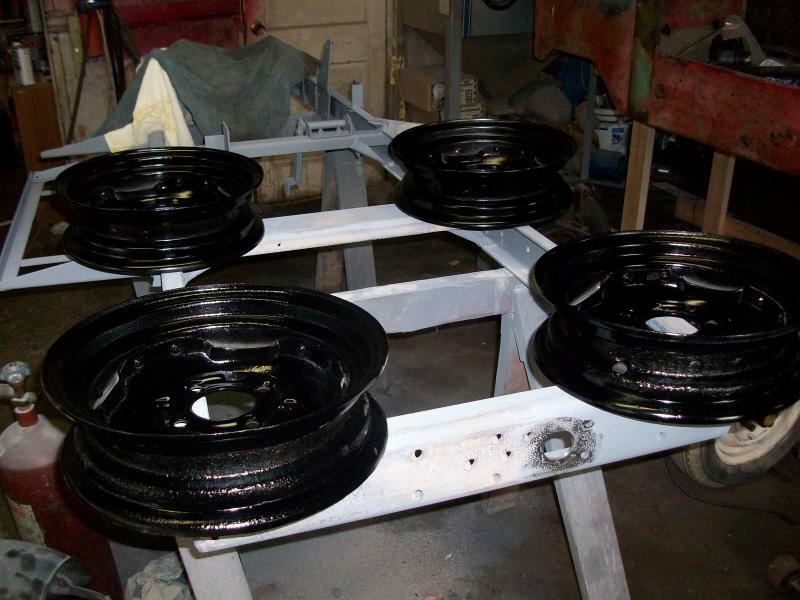 Powder coating the backs of the 6 wheels and the shock brackets black. 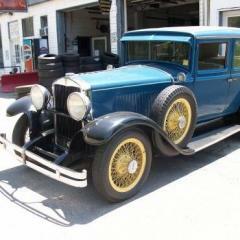 The wheels were originally black and Crosley painted the fronts white. 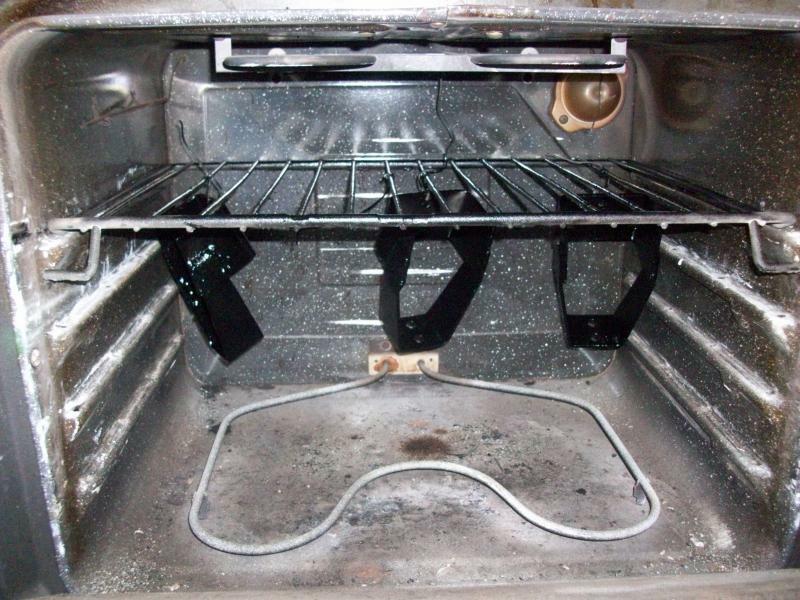 You can see three of the four shock brackets in the oven baking at 400 degrees. The Kiski Valley Region had their car cruise on Saturday, not a good day as rain moved in just about the time the cruise was to start. It was hot and humid making it feel like 104 degrees. After two showers the rains cleared and we did get 25 vehicles out and had a good time. 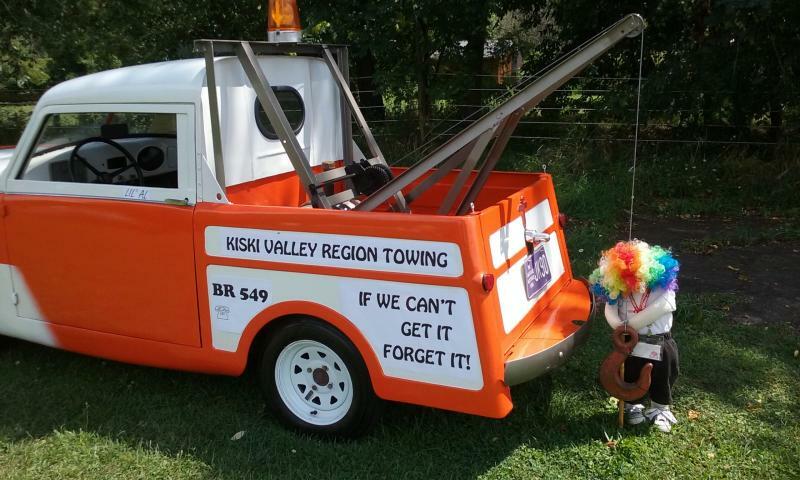 We used my 1950 Crosley tow truck for the backdrop and have the entrant pull up behind the tow truck to get their picture taken. At the end of the cruise we present the owner with their picture in a custom wooden dash plaque. Back to work on the FOR. The weather is beautiful, lower temperatures and low humidity, great for working. 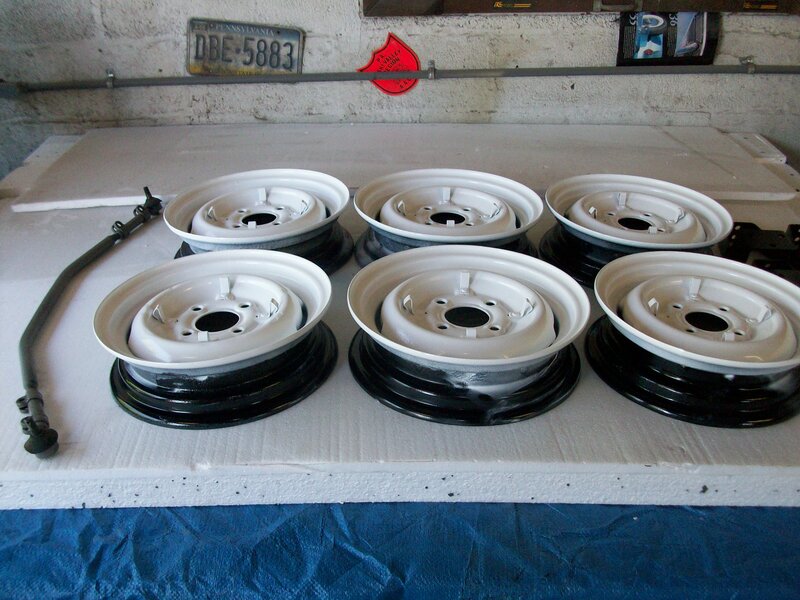 Powder coating wheels and suspension parts. The tie rods and center link were done with cast iron powder coat, the links and U-bolts were done with bare steel powder coat, shock mounts were done with gloss black powder but they will need filled and painted as there are too many pits, and the wheels with gloss white. Now I need to find some tires! I will only use five of these wheels for the FOR, one will be a spare wheel. I still have to find two wheels to use the outer rim for the bud wheels, which I have the centers, will have to look in my stash for ones with bad center hubs. Total wheels on a FOR is 7, 4 wheels on the ground, 2 bud wheels and one spare. 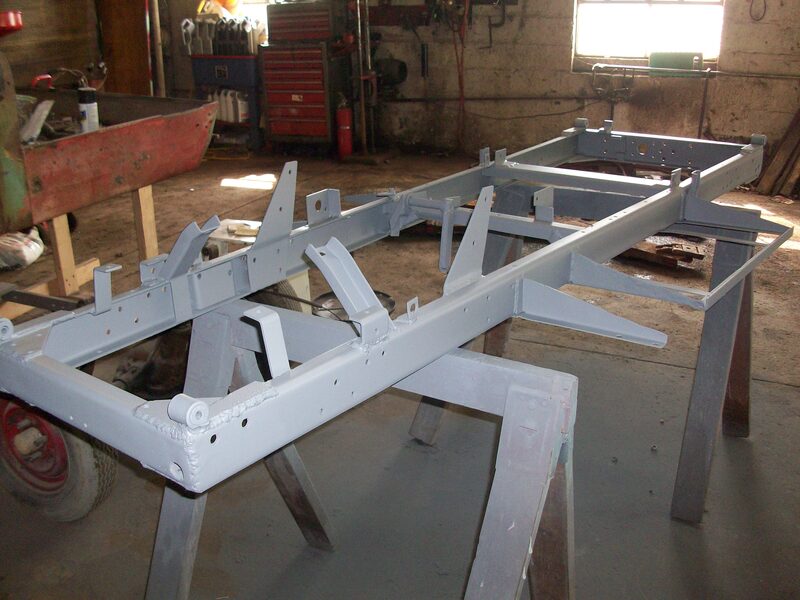 Dale, I'm impressed that you are doing all this powder coating yourself! 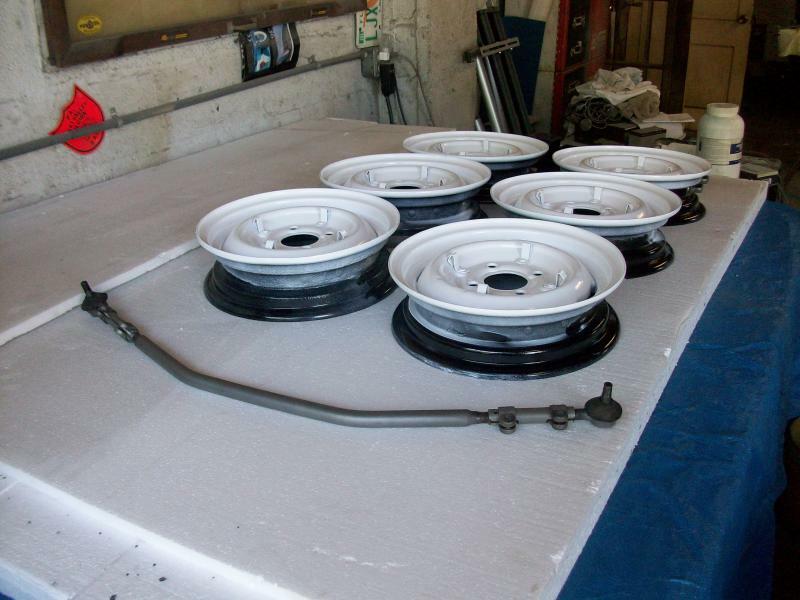 What kind of powder coating system do you have? It is Eastwoods system, one of those $120.00 kits several years ago with powders. Works good and I use an old electric kitchen stove. It limits the size of parts I can powder coat, but Crosleys are small. It limits the size of parts I can powder coat, but Crosleys are small. Curious Dale, have you ever tried powder coating a piece than beating the heck out of it with a hammer to see how the coating holds up? 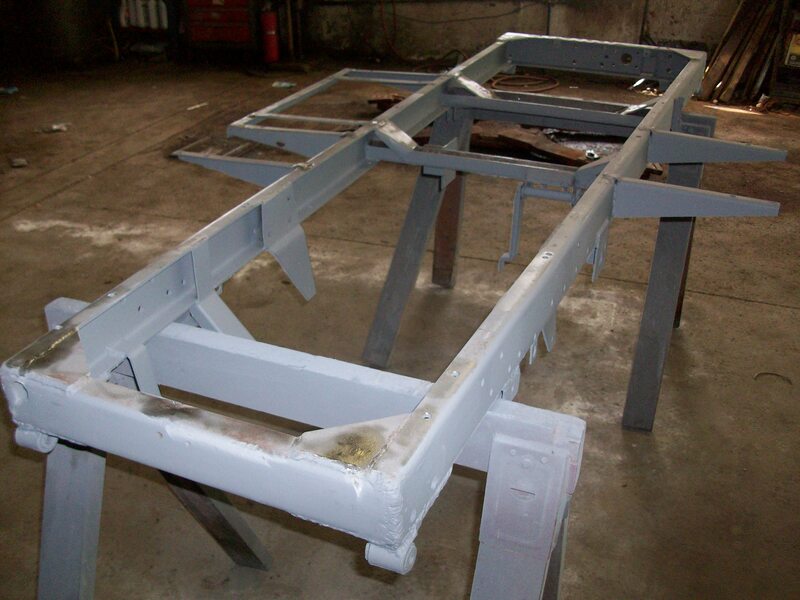 I've always heard that powder coating is extremely durable and impact resistant, but don't have any experience with it. 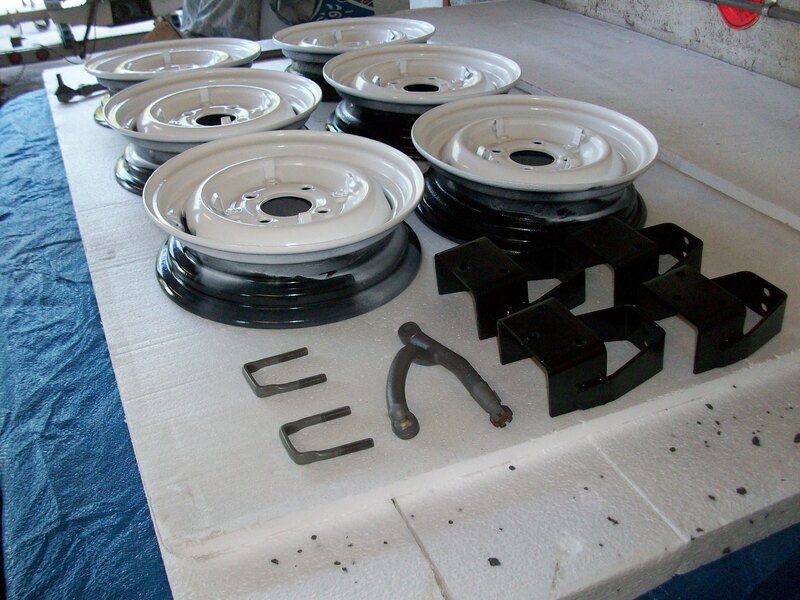 When I first got my powder coating kit I wanted to try it out and I coated two different things, one was my hammer for the tire weights and the other was the hooks that I use on my trailer to hold the straps at the front. I have abused the hammer, using it like it was to be used in a tire shop, tossing it to the ground when I am done with it. It has it's nicks and scratches but it still has it's purple color and shine in places. The hooks on the trailer have stayed on the trailer and it sits outside all year long and they still look great. Didn't know they made cast iron and bare steel powder coat, looks real nice. I had some re-built wire wheels powder coated. It was a mistake. The wheels work and move as they turn. They wore the coating at the rim and sometimes in the hub. Rust appeared. Also under the tyre edges on the inside the powder looked OK but in fact the rim was rusting away quite happily underneath. 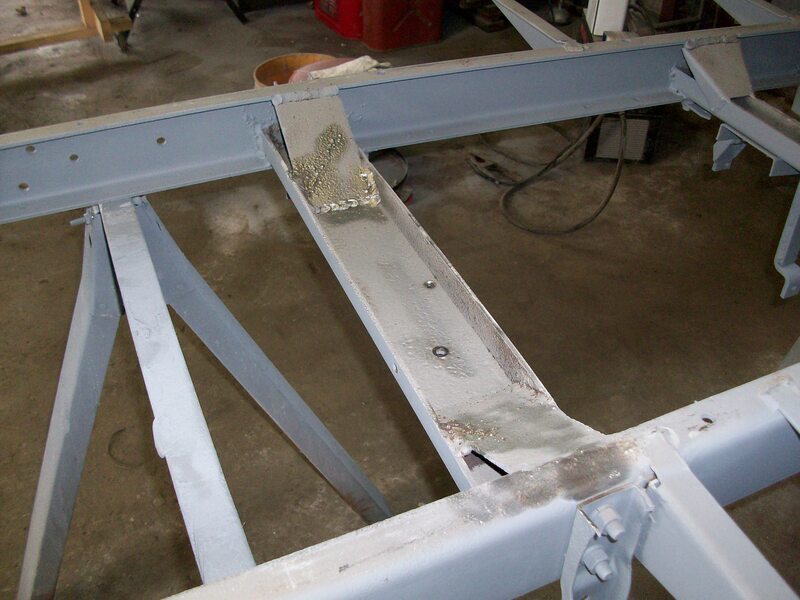 The trouble with powder is that if there is a nick or chip or even some porosity, you can't see the rust under it. 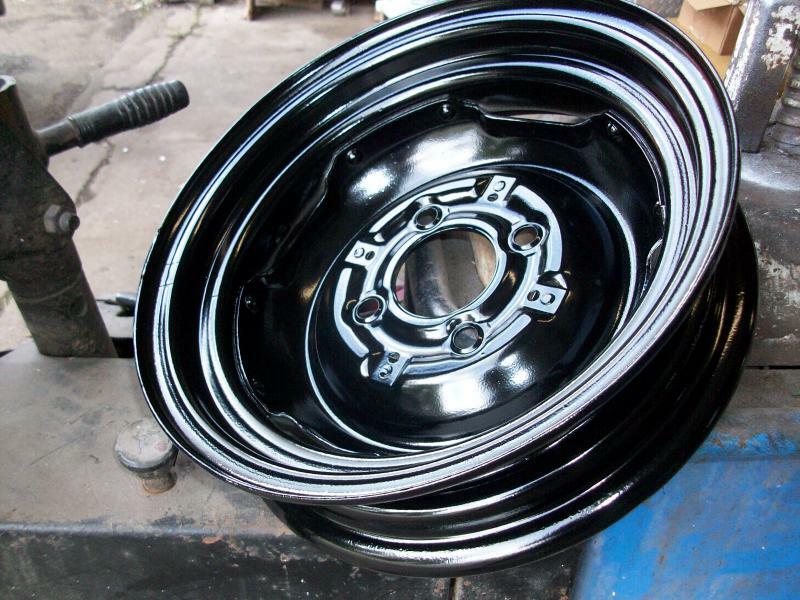 When I had the wheels redone recently, I put a zinc undercoat on first. That should passivate any areas exposed by a chip in the coating. So are paint solids applied this way and cooked any stronger and more resistant to chipping than POR15 (moisture cured paint solids) or cyanoacrylates or epoxy, for example? 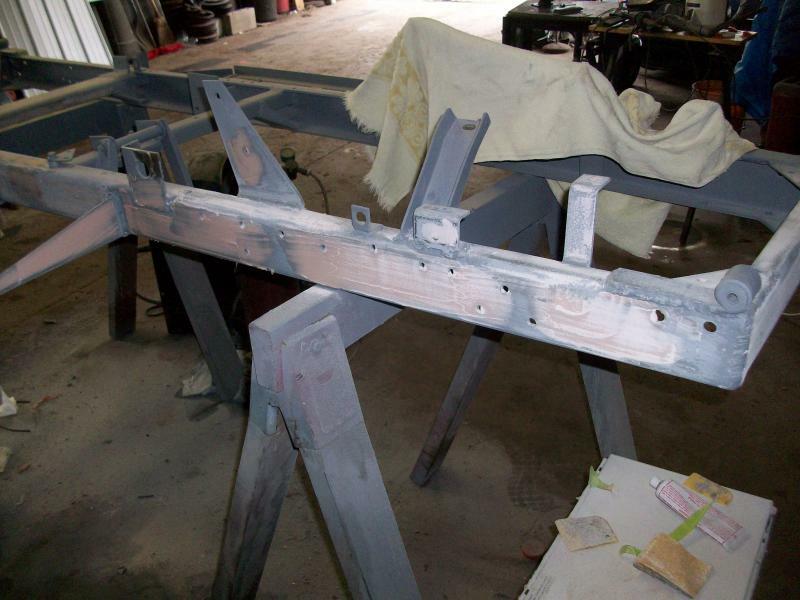 The media blasting, powder coating and filling and sanding continue on the FOR. The front end backing plates have now been media blasted and powder coated gloss black and the frame continues to get filler and sanding. 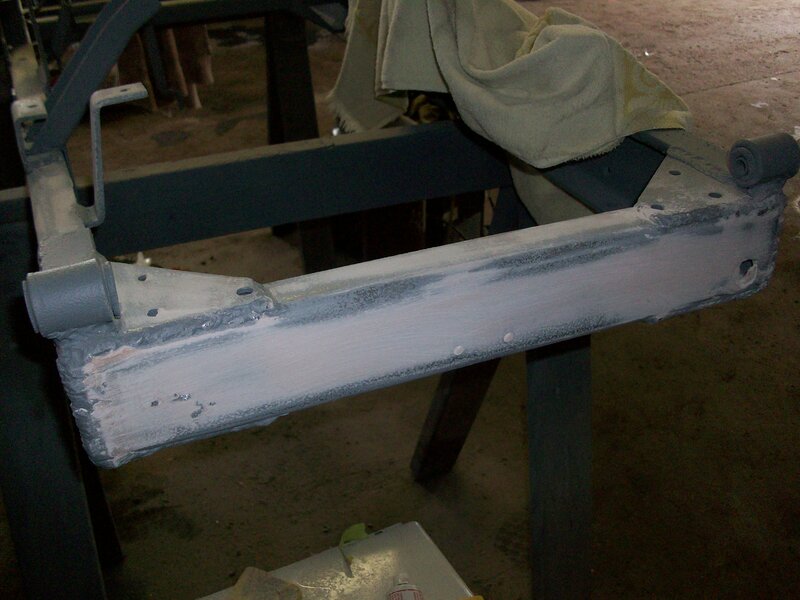 It is close to another coat of primer and then it can be flipped over and primed on the top side. 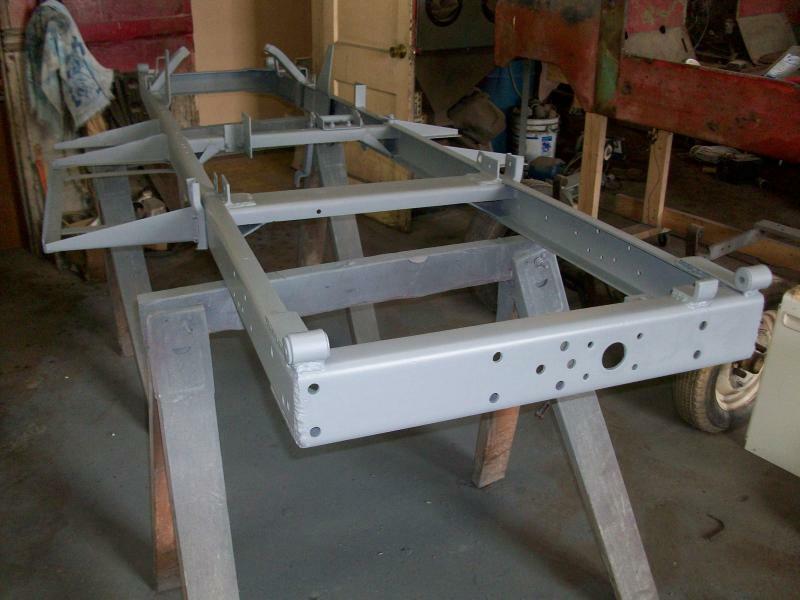 Hopefully when the frame is painted gloss black the chassis parts will be ready to install back on the frame. That is my plan anyhow and I am sticking to it. Thanks for the ad. A nice looking FOR, but the auction company doesn't know anything about it. Says it has a Cobra (copper brazed tin block) engine in it and it is clearly a cast iron block, along with a few other errors in the ad. That was the one at the Bruce Weiner Micro Car Museum. Not much to report today except cleaned all the holes through the frame with a drill to remove the filler and I sprayed a coat of primer/filler over the bottom side of the frame. Looks pretty good. Will now flip it over and do the same to the top side. Dale, I have been researching powder coating, to see if I want to jump into that for my restorations. Question for you.......in doing some reading online, I found that there are fillers made to use with powder coating (for example, here is a discussion with several products suggested: http://www.finishing.com/1600-1799/1605.shtml , and here is a spec sheet from another product: http://www.lab-metal.net/In-The-News/ID/8/Epoxy-Putty-for-Powder-Coating ). Have you tried using a filler, and if so, what kind and how did it work? I have not used the fillers and I guess I should try them. 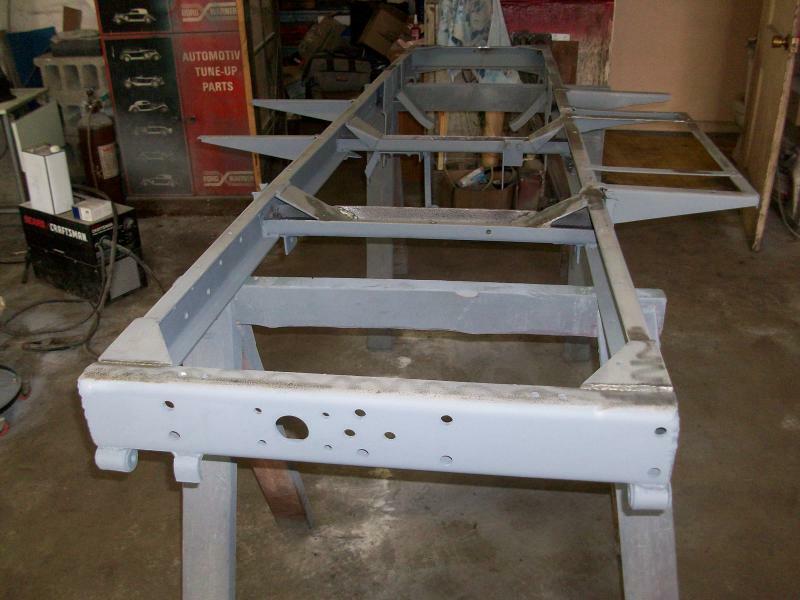 I have only powder coated parts that are in good shape with no rust pitting or dents. I had some help the other day and got the frame flipped over, not that the frame is that heavy, so now it is right side up and the work continues. 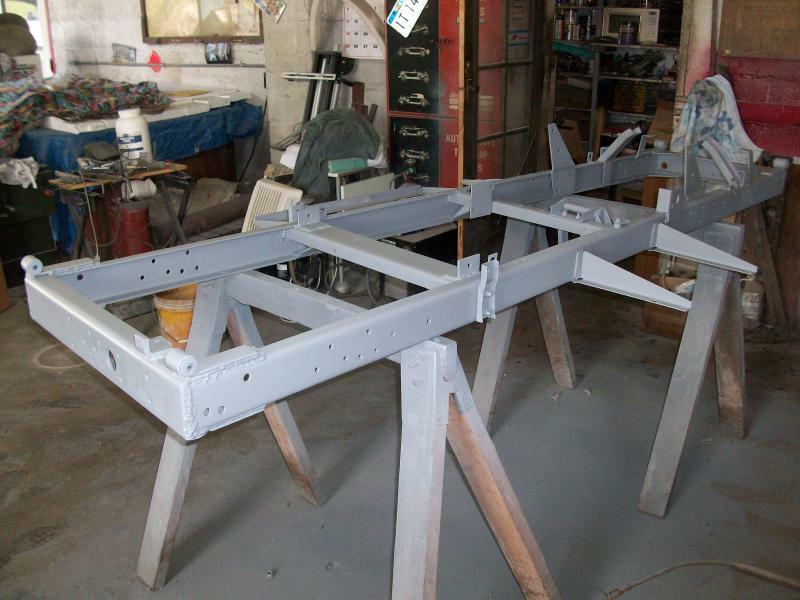 The top side is not as pitted as the under side and most parts will not show once the body is installed but it will be primed and sanded the same. Dale, did you see this in the buy/sell forum? A little progress report for today. 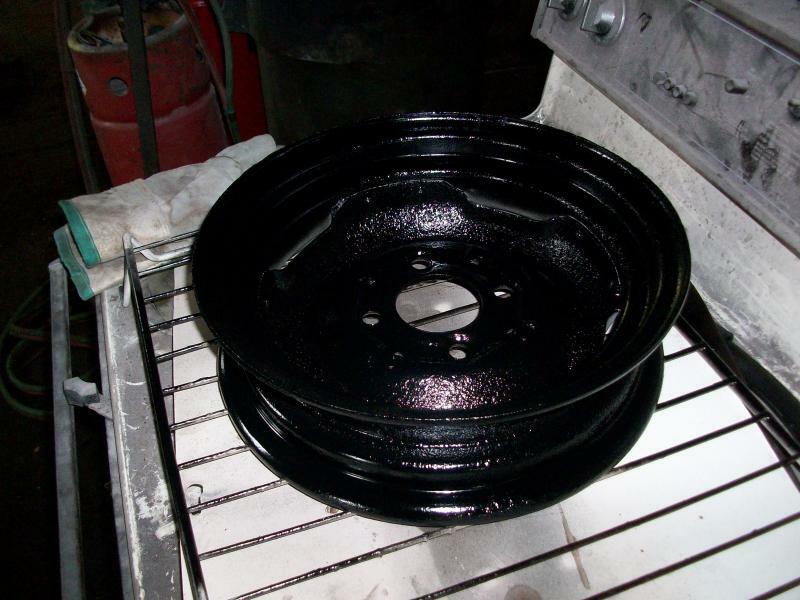 I got some time on the FOR and put a coat of black paint on the front axle. It will now be ready for the backing plates and brakes. Heading to Hershey Monday afternoon, should be in our spaces by noon Tuesday. GBC 7-8 Stop and say hello and rest your feet. Will have a few Crosley items for sale, along with a lot of other miscellaneous stuff, also a 1992 Chrysler Lebaron convertible. My dad and I are at Hershey, spaces GBC 7-8. Waiting on you to buy stuff. Dale, there was one at Hershey yesterday. A nice little rig. That is a fellow Crosley club members FOR. It is a very nice FOR that he just got a while ago. I saw your wife, Alice sitting behind the McLaughlin Buick early in the morning, but didn't see you. She was busy so I continued walking, had to get back to the trailer to pack up and leave. Was a great show week!!!! Dale, not sure if you subscribe to Collectible Automobile, but they have a nice Crosley article in the latest issue. It's on the prewar Crosleys, and I was surprised at the variety of special body styles. This is the first article I've read that goes into some detail regarding the prewar cars - most articles mention them briefly and move right to the postwar cars with the 4 cylinder engine.